Count down to blast off? Jetpacks have been staples of science fiction since the early 20th century, piloted by characters as diverse as James Bond, the galactic suburbanites of Lost in Space and the Star Wars villain Boba Fett. Science fiction has a habit of becoming part of everyday life—sooner or later. But jetpacks have stayed firmly in the realm of fantasy, with their only appearances in the real world being stunt displays at football games or at opening ceremonies. 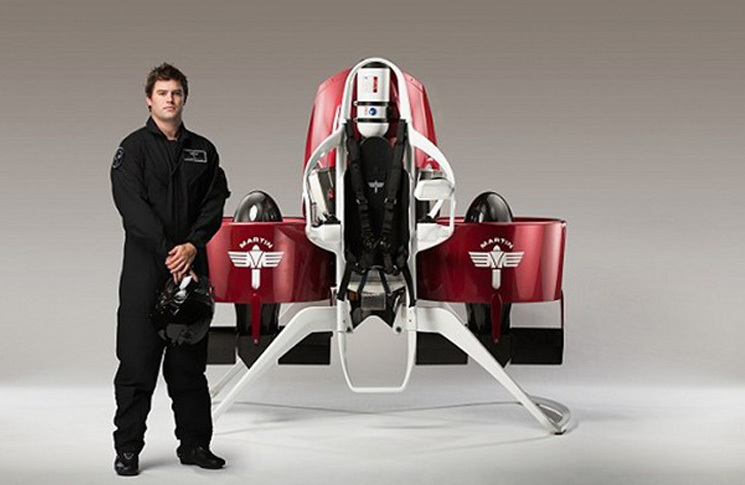 That may be about to change, with the certification of the Martin Jetpack in New Zealand. Although strictly speaking it is more like a small helicopter rather than a rocket belt—it comes closest to the science fiction ideal of a wearable aircraft, with substantial range and altitude capabilities. Instead of rockets or jets, the Martin Jetpack uses two ducted fans, driven by a 150 kW (200hp) two-litre V4 two-stroke petrol engine. At 114 kg the Martin aircraft is too heavy for the wearer to carry it on their back, but its flight endurance of about 30 minutes, speed of about 40 kt, range of 51 km and payload of 120 kg—including pilot—are beyond comparison with the rocket and jet packs of the 1960s. The jetpack has been test-flown,(unmanned), to 5000 feet, and, according to its maker, will be available for sale late this year. It is being made by a public company, listed on the Australian Securities Exchange, that enjoys millions of dollars of Chinese investment. The company’s annual report and sales material speak of marketing the jetpack to commercial users and government agencies for tasks such as search and rescue, surf lifesaving, border patrol, firefighting and pipeline inspection. Manned and unmanned versions are proposed at an expected price of $US200, 000 for a jetpack. As this story went to deadline Martin Aircraft announced an agreement to supply 20 jetpacks and two simulators to the United Arab Emirates for use by emergency services. 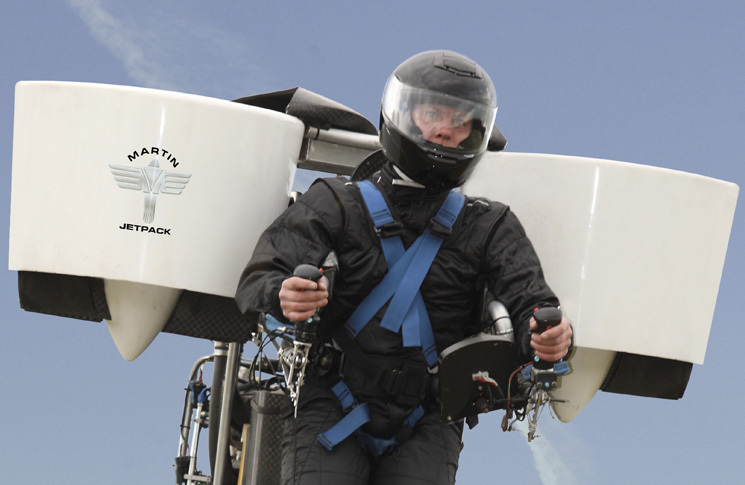 Safety may not be the first word that comes to mind in contemplation of an aircraft that’s strapped to the pilot’s back, but the Martin jetpack has some safety features. Pilot module: Comprises a rollover bar, frontal protection and arm restraint. The structure of the Jetpack provides protection to the pilot from the rear and side, and the ski-type landing gear provides protection from below. The technical results from the development have been very encouraging, and dependent upon successful trials on the commercial Jetpack, could result in one of the safest light aircraft in the world. Ducted fans: No exposed rotor blades makes it safer for people near the aircraft, and reduces the risk of damage due to propellers or rotors coming into contact with objects. Fly by wire: The Jetpack flight control system is computer controlled and stabilised. If the controls are released during flight the Jetpack slows and goes into a hover—just like a $500 drone does—but unlike a helicopter. The system also automatically maintains altitude during manoeuvres. It is recognised that this engine would not be able to become a production engine, so immediately after the listing, the Company established a number of parallel paths for both off-the-shelf and new design engines. The engine programmes are going well and are on track to meet the requirements for next year to power the commercial Jetpack. The regulator’s challenge—what is it? From a regulator’s point of view jetpacks are truly novel. Unlike aeroplanes, helicopters, parachutes and balloons, jetpacks do not fit into any established category of aircraft. This was not an issue for the military experimenters of the 1960s, or for enthusiasts who operate under experimental authorisations and occasional special flight permits. But if jetpacks are to become an everyday part of future skies they will need to be classified. This is not because of any regulator’s grab for power, but because this vehicle, just like any other vehicle in the skies needs to be operated in a manner that is safe for the general public, other aircraft and the operator of the vehicle, as well as addressing insurance and liability concerns. If these questions are not addressed, jetpacks can never be more than curiosity items, denied a place in commercial or private operations. 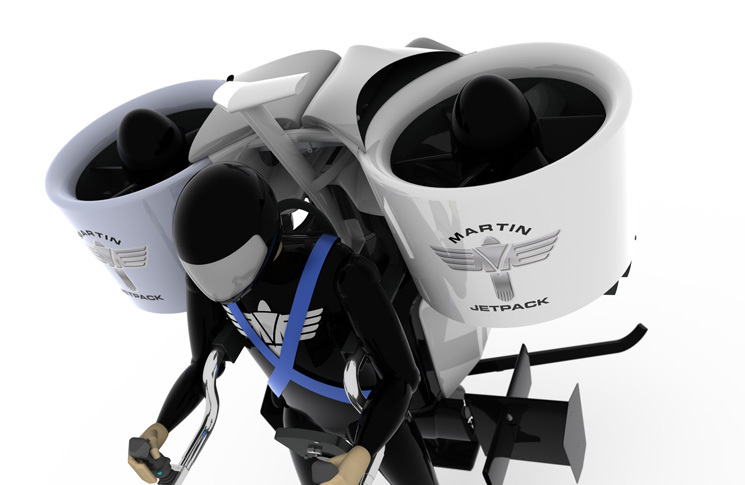 David Gill, from the New Zealand Civil Aviation Authority (NZ CAA) Aircraft Certification Unit, says the authority is encouraging Martin to develop its own design standard for the jetpack. Until then the company is operating under flight test permits. The NZ CAA has been working with Martin Aircraft for years and has initially certified the jetpack under the microlight category. ‘These things are so outside normal bounds that the first country that develops it and produces a standard becomes the standard to use among other countries,’ says Gill. Standards for operations, pilot licensing certification and maintenance would flow from the initial design standard, Gill says. CASA’s manager of initial airworthiness engineering, Peter Nikolic, says CASA is watching development of the Martin Jetpack with interest. Initial certification was a New Zealand responsibility, and CASA had to tread a fine line between being caught by surprise and devoting resources to a project that might not be required. CASA is aware of the Jetpack’s development and would be willing to assist the NZ CAA, if requested, he said. ‘We’d be happy to assist in that, and once that standard is established by the Martin Jetpack and CAA NZ, CASA would review it and accept it, as much as possible, subject to other Australian laws and regulations that may be impacted, as the basis for its own recognition,’ says Nikolic. Well done on another great edition of Flight Safety Australia. So much interesting and valuable information. I am a mature age private pilot and like many people of my vintage we traditionally prefer hard copy magazines, but I appreciate the cost savings and convenience of web access, and this edition really impresses me. At the start of my aviation “career” I flew ultralight aircraft (logged about 200 hours), and whilst I appreciate the advice to use metal fuel cans (per article in this edition), I have not seen any operators of these aircraft using anything other than plastic fuel containers. I wonder whether the next article on this important topic could outline how to use plastic containers as safely as possible (albeit not as safe as metal containers)? Keep up the good work on keeping the aviation community informed in an entertaining and professional way.